Many people buy and wear clothing from prestigious brands as a way to express and distinguish themselves. However, a new study from the University of Missouri has found that people who are more sensitive to how others perceive them are actually more likely to avoid clothing with large logos, even if the clothing is from a prestigious brand. Eunjin Kim, a doctoral candidate in the MU School of Journalism, says it is important for companies to understand this brand avoidance behavior when marketing their products to consumers. For her study, Kim evaluated participants’ sensitivity to the opinions of others by using the attention to social comparison information (ATSCI) scale, which measures how much participants care about social approval. Participants who had higher ATSCI scores exhibited more sensitivity to how they were perceived. Kim then presented various clothing and apparel items to the participants and asked them which items they would be likely to buy and wear. Kim found that high ATSCI individuals avoided potentially attention-garnering brand choices such as those involving distinctive brands or conspicuous brand logos. Learn more about clothing logo design here on Apparel Search. You can also find additional fashion industry research subjects in our education section. If you want to take a break from research and play a brief game, you may want to try our fashion logo game if you have a few minutes to spare. Thank you for taking the time to read this fashion research blog post here on Apparel Search. Learn more about popular clothing brands that should pay close attention to Eunjin Kim's research. 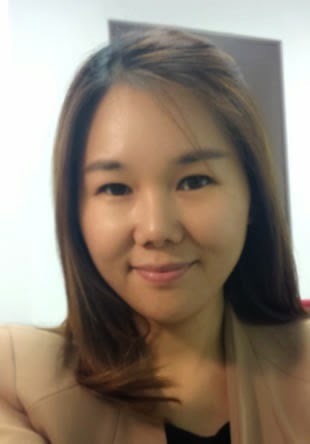 Eunjin Kim is a doctoral candidate in the MU School of Journalism, and as described below has found that people who are more sensitive to how others perceive them are actually more likely to avoid clothing with large logos, even if the clothing is from a prestigious brand. The University of Missouri offers The Department of Textile and Apparel Management is a global leader focusing on the apparel and textile supply chain. TAM's award-winning faculty is internationally recognized. Ranked as one of the top programs of its kind, TAM prepares students for a wide variety of career options such as merchandising, buying, sourcing, product development, technical design, e-retailing or retail operations. The curriculum focuses on leadership, the global supply chain, sustainability, creativity/innovation and technology. Through course work, field study experiences, internships, leadership conferences and student organizations, TAM students develop the skills they need to be a top recruit for industry positions.